October for the most part was all about editing for me, along with general anxiety about how Rise of The Circle will be received. For what it's worth, my editor liked it, but I supposed she's a little biased. I really liked it too, but I wrote it. Anyway, that's not why you're here. You're here to read about the handful of things I enjoyed enough last month that I wanted to write about them for a minute. This one's a couple of years old now but still fascinating. Everyone knows Wall Street has problems but this book goes into great detail explaining one of the biggest, High Frequency Trading. As someone who casually follows the stock market, this book was a real eye-opener. One of the blurbs is "guaranteed to make blood boil" and while that's definitely true, it's a very interesting read that at the very least will make you think a lot more seriously about where you trust your money. 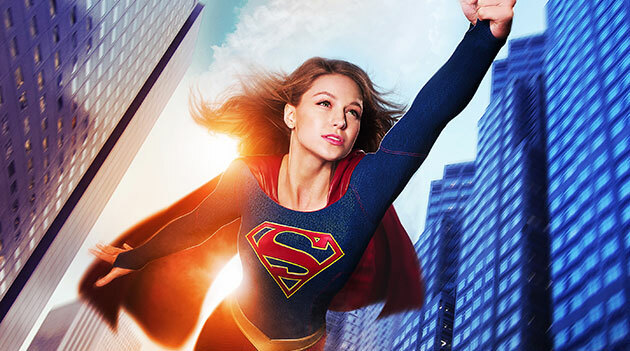 Obviously I'm going to be predisposed to liking a superhero show, but so far Supergirl has really knocked it out of the park. Establishing the character in a way that doesn't constantly feature her more famous cousin is tough, but they're doing a great job focusing on what makes her different (namely that she's a woman and that she spent her childhood on Krypton, rather than growing up on a farm in Kansas). It gets a lot about the character right that Man of Steel got wrong, and proves compelling comic book characters don't have to be brooding and can be optimistic and hopeful without being cheesy. I rarely listen to non-comedy podcasts, and I guess technically this one has two comedians on it, but I really liked this one. Lots and lots of interesting discussion about comedy writing from two guys who are pretty much self-taught, but who have also been doing it professionally since they were teenagers. The quantity of their output is really impressive and I think there're quite a few gems about the creative process in here that apply to more than just comedy.